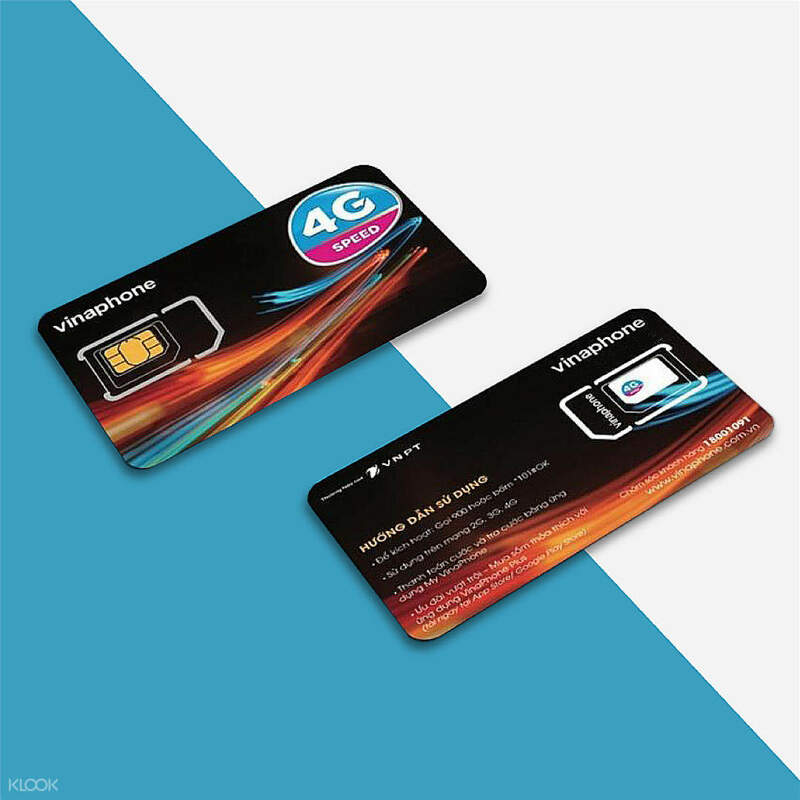 Pick up a local SIM card upon your arrival at Da Nang International Airport! Excellent, so simply to take sim card. Just 50 meters walking After leave airport. One of the first things you will need to think about when planning a vacation to a foreign country is how you will stay in touch with friends, make bookings on the spot, call a taxi, contact your tour operator, and so on. 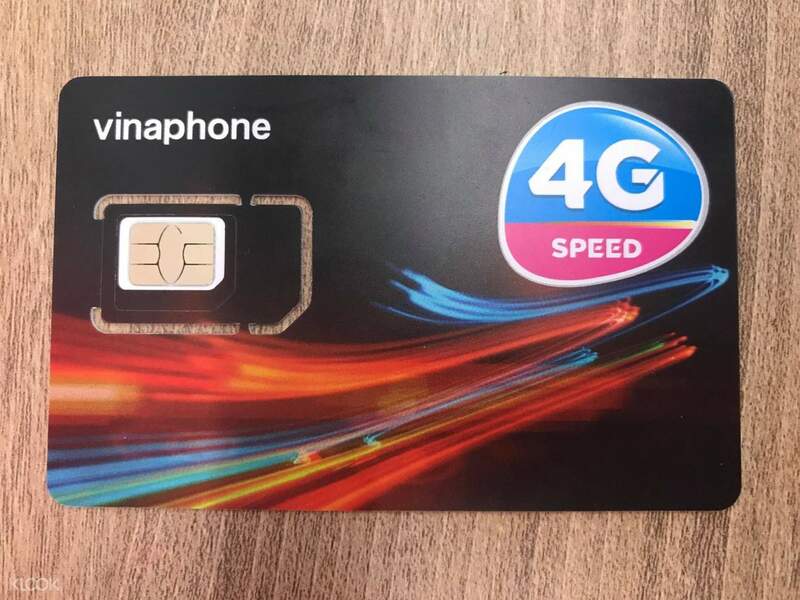 With Vinaphone's local 4G SIM Card, you’ll be able to do all the mentioned tasks with ease. Don't waste your time trying to find a local operator in the city or go over your budget with international calls, just choose from their 7GB and 5GB SIM cards to suit your needs. 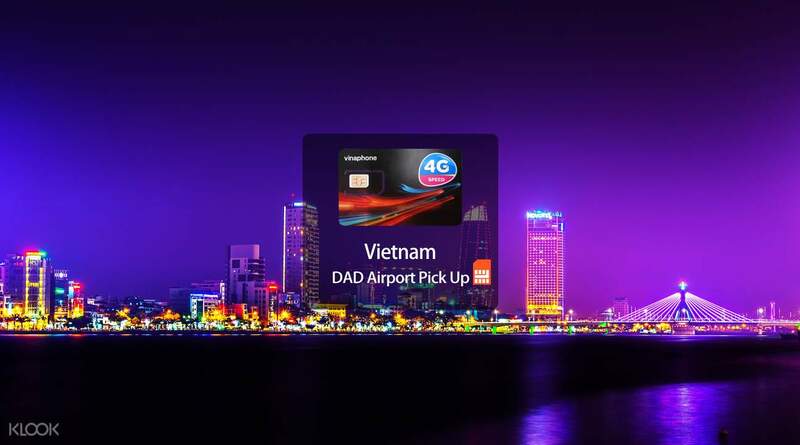 Pick up your chosen local SIM card conveniently at Da Nang International Airport upon your arrival. Enjoy stable data coverage with 4G speeds per day, which you can use to keep in touch with your driver, hotel, tour agency, and family from wherever your are in the country. Start your exploration of Vietnam right away with your local SIM card! Great and cheapest way to get a one month sim card with both data and call function, the signal was really strong, even I was on bana hill, which my friends bought another company sim card didn't work at bana hill. Great and cheapest way to get a one month sim card with both data and call function, the signal was really strong, even I was on bana hill, which my friends bought another company sim card didn't work at bana hill. Overall the performance of the internet is fine. We do not know how to check the balance of our usage though. Tried to ask the person from the shop but she also doesn't know how to check it. (Maybe miscommunication) The shop is located at outside of the airport, don't worry if you have passed through the custom gate. (The map shows that the shop's located within the custom gate area). Overall the performance of the internet is fine. We do not know how to check the balance of our usage though. Tried to ask the person from the shop but she also doesn't know how to check it. (Maybe miscommunication) The shop is located at outside of the airport, don't worry if you have passed through the custom gate. (The map shows that the shop's located within the custom gate area). I arrived at the domestic airport and the collection can only be done at the cafe at the international airport. But the data was strong and helped me to grab taxi from one place to another in Danang. I arrived at the domestic airport and the collection can only be done at the cafe at the international airport. But the data was strong and helped me to grab taxi from one place to another in Danang. most recommended. easy to redeem. but the staff not friendly. just pass the sim card. din even offer to assist to insert the sim card like other operator. most recommended. easy to redeem. but the staff not friendly. just pass the sim card. din even offer to assist to insert the sim card like other operator. The best option for unrestricted internet connection if you are visiting Da Nang for a tour, etc. The people at the counter are nice and they install the sim card for you. This one the best deal you can get here. I highly recommend this! The best option for unrestricted internet connection if you are visiting Da Nang for a tour, etc. The people at the counter are nice and they install the sim card for you. This one the best deal you can get here. I highly recommend this! cheap and good. the collection point was just located on the right side of the outside of the danang international airport. the connection was steady throughout my trip. was really happy with the simcard. cheap and good. the collection point was just located on the right side of the outside of the danang international airport. the connection was steady throughout my trip. was really happy with the simcard. Easy and convenient to get. Once reached Danang airport, just come out of the arrival hall and turn left. The shop is at easy to locate and staff is very friendly. It was much easier than buying SIM cards from the airport. No queue no hassle. Easy and convenient to get. Once reached Danang airport, just come out of the arrival hall and turn left. The shop is at easy to locate and staff is very friendly. It was much easier than buying SIM cards from the airport. No queue no hassle. Easy to claim. Just show the voucher & they will give it to you, the cafe is located outside the airport. At first we cannot find it coz there’s so many selling sim card inside the airport at the arrival area so we thought it was right there but we can’t find the cafe so we ask a cleaner where it is. The connection & data is strong. Great to have one when you stay in Danang so u can use it for navigation esp if u want to roam around the city. Easy to claim. Just show the voucher & they will give it to you, the cafe is located outside the airport. At first we cannot find it coz there’s so many selling sim card inside the airport at the arrival area so we thought it was right there but we can’t find the cafe so we ask a cleaner where it is. The connection & data is strong. Great to have one when you stay in Danang so u can use it for navigation esp if u want to roam around the city. Conveniently located outside the arrival hall (2 minute walk to the left after u exit the arrival hall). Simply display the Klook QR code and the reception lady handed me the Sim Cards. Entire process took literally 10 seconds. However, you will need to insert the new sim by yourself (pin will be provided). Conveniently located outside the arrival hall (2 minute walk to the left after u exit the arrival hall). Simply display the Klook QR code and the reception lady handed me the Sim Cards. Entire process took literally 10 seconds. However, you will need to insert the new sim by yourself (pin will be provided).